Like the aficionados of “death tourism”—there is currently a thriving industry specializing in visits to places like Auschwitz, Hiroshima, the S.21 prison in Phnom Penh, Dallas, Ground Zero, etc.—the artist has visited and photographed places where twentieth-century crimes and other heinous events have taken place. But instead of giving us an objective treatments of these sites, the artist has dramatized them through the deliberate use of soft-focus. At the opposite extreme from investigative photography, these photographs prove nothing but feed into feelings of suspicion. Born in Toronto, Ontario, where she still lives and works. A visual artist with an established practice, P. Elaine Sharpe works from a strong critical and theoretical base. She has shown both nationally and internationally and has work in several prominent collections including France’s Bibliothèque nationale and the Woodstock Center for Photography in New York. Ghosts of non-linear narrative and liminal experience frequently inform her work. Recurring thematic and conceptual connections, whether written on the body or in the landscape, or presented in videos, large-format photographs and installation-based work, include notions of truth, absence and spectral thresholds. Sharpe teaches in the photography department at the School of Visual Arts of York University in Toronto. 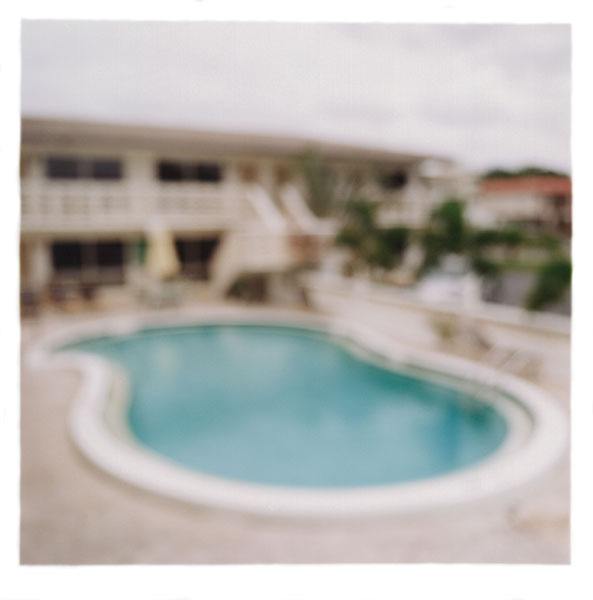 © P. Elaine Sharpe, Panther Motel, Del Ray Beach, FLA (terrorist residence), from the series unanswered: witness, 2002, 76.2 x 76.2 cm. Courtesy of Lee Ka-sing Gallery, Toronto.